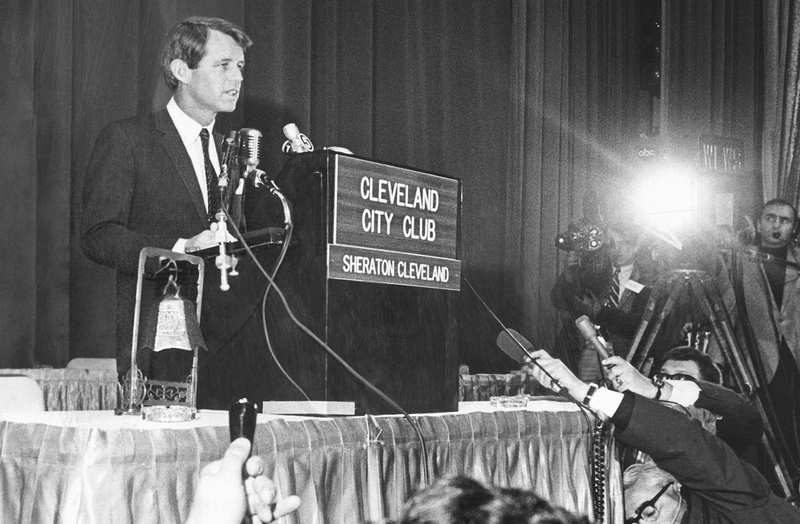 Robert F. Kennedy delivering his speech, “On the Mindless Menace of Violence”, at the City Club of Cleveland on April 5th, 1968. Crimetown is me, Zac Stuart-Pontier and Marc Smerling. The show is produced by Jesse Rudoy, Bill Klaber, and Ula Kulpa. Austin Mitchell is our senior producer. This episode was mixed, sound designed and scored by Kenny Kusiak. Additional music by John Kusiak. Our title track is Maria Tambien by Khruangbin. Our credit track this week is “Abraham, Martin, John, and Bobby,” covered by Rosaleen Eastman. Recording help by Donnie Carlo at WTMD in Towson, Maryland. Production assistance by Kevin Shepherd. Archival footage courtesy of the University of Massachusetts at Dartmouth and the California State Archives. Thanks to Emily Wiedemann, Jean Klaber, Greencard Pictures, Alessandro Santoro, Ryan Murdock, Max Miller, Ben Davis, Oren Rosenbaum, Ryan Nord, Judith Farrar, Elizabeth Benham, and the team at Cadence 13. For more information on the Robert Kennedy murder, pick up a copy of Bill’s book, Shadow Play. If you like the show, please consider leave us a rating and review on Apple Podcasts, or wherever you listen. It really helps others find out about show. You can find us on Facebook, Instagram, and Twitter @theRFKtapes.